Top of the line, custom western saddle made by the Legendary, Eli Miller. 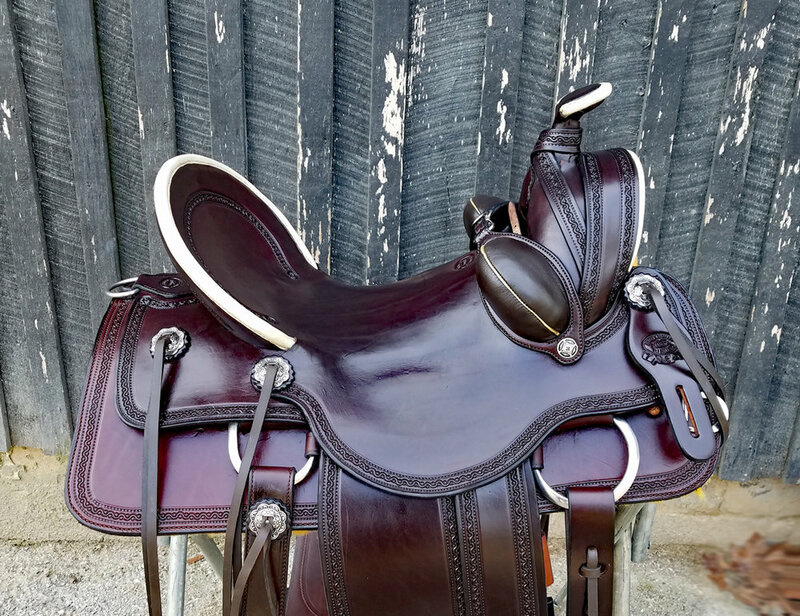 This saddle has the absolute best in leather, quality and workmanship. The supple, dark oil leather has a hand tooled rope border and is perfectly accented by the ivory rawhide trim. The heavy duty back rigging is complete with a six inch rear cinch. 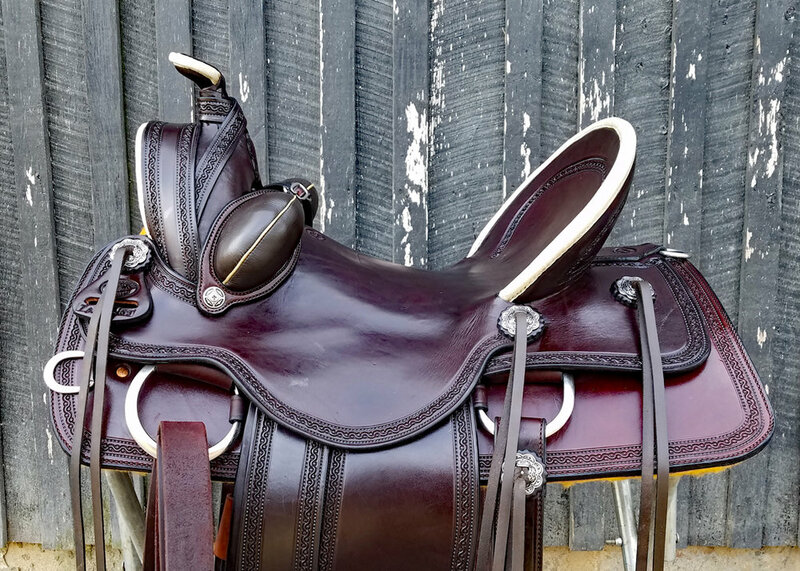 It also has bucking rolls combined with the six inch cantle to really lock you in. The “A” Fork Swell with the fancy Sam Stagg rigging and the buckaroo stirrup leathers really complete that Vaquero look. The Batie Custom Tree tree has Regular Quarter Horse Bars. These bars are flared more in the front than the average tree, allowing for uninhibited shoulder movement. This feature increases the horses’ comfort and performance. You can really see the difference in their movement. This is the only tree we use on our saddles now. A happy horse is important. 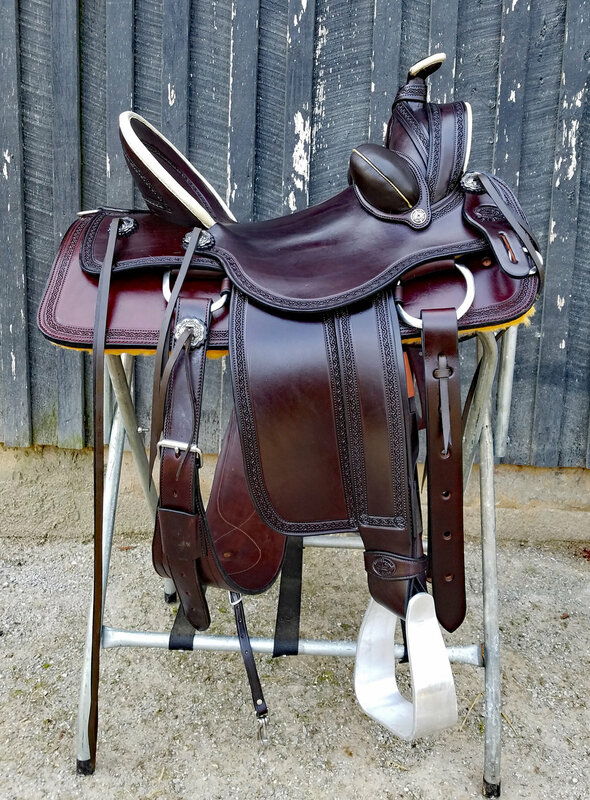 Another added feature on this saddle is the rolled stirrup leathers. This allows your legs to hang naturally, with none of the twisting and knee fatigue that is so common with many western saddles. The heavyweight aluminum stirrup is there every time you need it, hanging right where is should be. 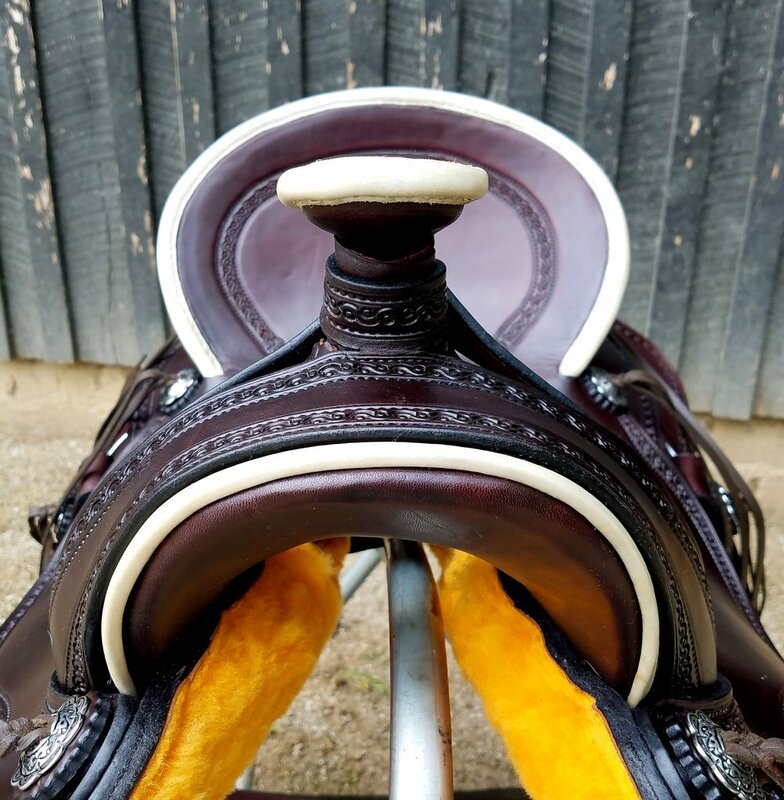 Once you have rolled stirrup leathers, you will never have another saddle without them. Take my word for it. It is a Game Changer. All the hardware is stainless steel, plenty of rings and dees for your equipment. The plush underside is Genuine Sheepskin. The leather is made in the USA by Wickett and Craig. Nothing is overlooked in this high quality saddle.